TOPMARKS are bathroom experts. 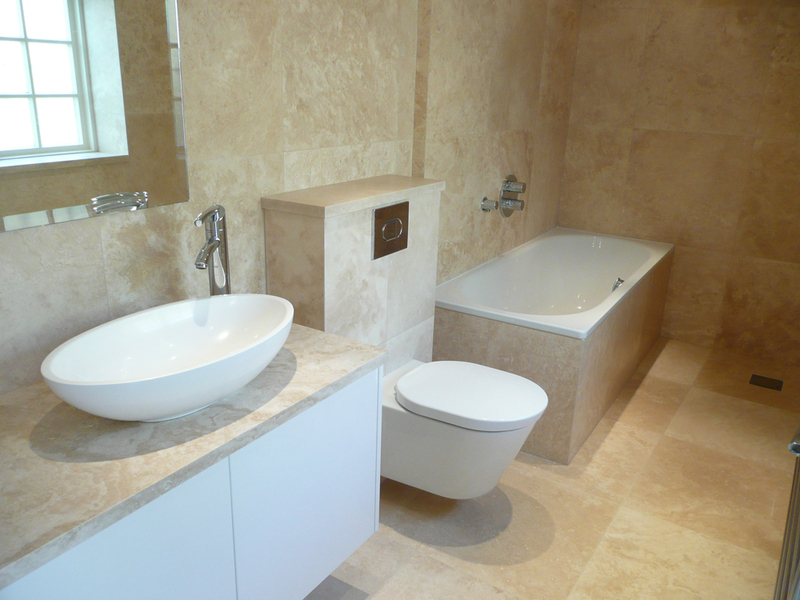 We design, supply and install bathrooms and do it very well. We probably know – almost – everything there is to know about bathrooms, wetrooms and shower rooms in London houses and flats. This means you get true experts fitting your next bathroom. TOPMARKS design and install bathrooms from top to bottom. From the water and waste pipes concealed below floors and inside walls to the tiles, taps, showers, baths, heating, lighting and many extras. We know what makes a bathroom feel comfortable, relaxing and even luxurious. You also get a comprehensive and valuable “no quibble” guarantee. 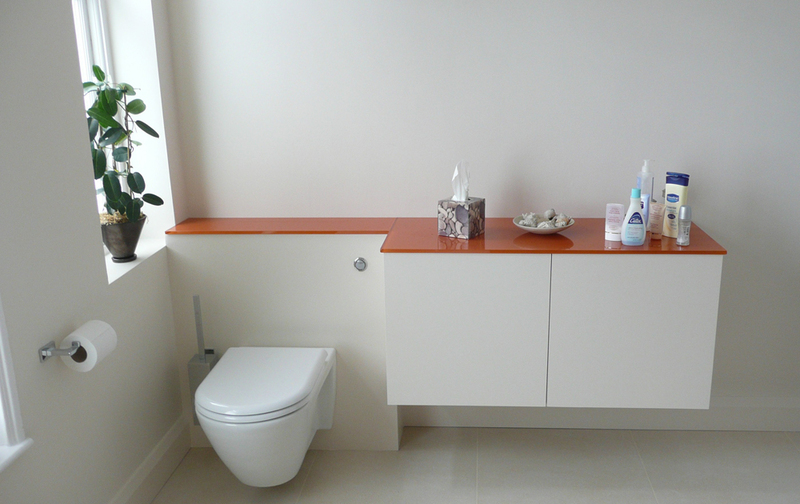 So you get peace of mind when we design, supply and install your bathroom. Many clients start by coming into our showroom to ask if we know how to resolve difficult problems. Why is their shower leaking? And why does the bath empty slowly or the toilet get blocked? Why is their bath no longer shiney? Do we know how to increase water pressure and create a powerful shower? And do we know how to make recessed shelves in bathrooms? Many clients also report cracked tiles and ask if we know how how to stop it happening again? And do we know how to stop that horrible black mold growing on the grout? Of course we know. This is our daily bread-and-butter work. For us, designing a bathroom means not just drawing an attractive plan. It means making a bathroom that resolves all problems, does not leak and actually works properly for you, our valued client. WHY ARE WE GOOD AT BATHROOMS? The company’s staff have been working together for over 17 years in London. We started off with knowledge and experience but that has grown substantially over the ensuing years, aided by a shared desire to do every job as well as possible. To solve any problem thrown at us. Never to give up in the face of adversity. Every bathroom in London homes ranging from modern concrete-framed apartment blocks to Edwardian, Victorian or earlier houses brings a fresh challenge and a problem to solve. 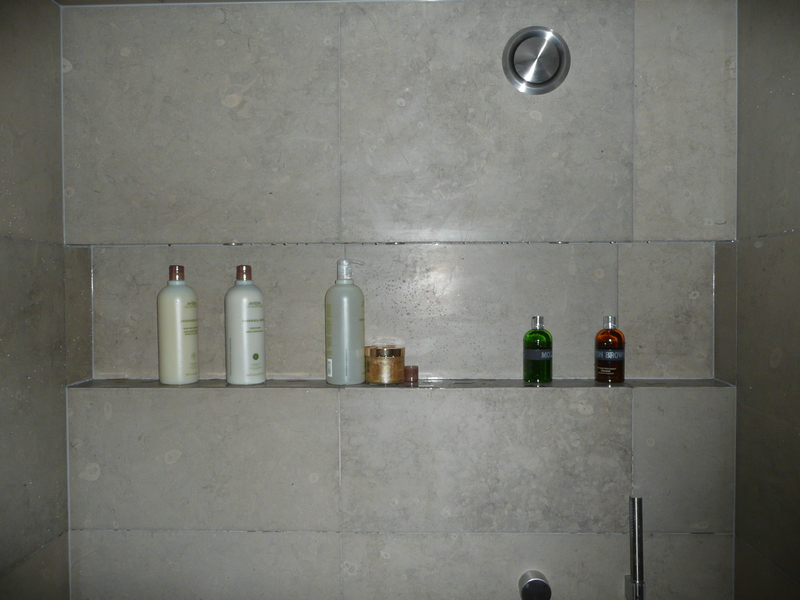 We are successful because we find solutions and produce attractive finishes to our bathrooms. WHAT ELSE DOES TOPMARKS DO APART FROM BATHROOMS? We are good, old-fashioned General Builders. That means we can re-model or make changes in your home. 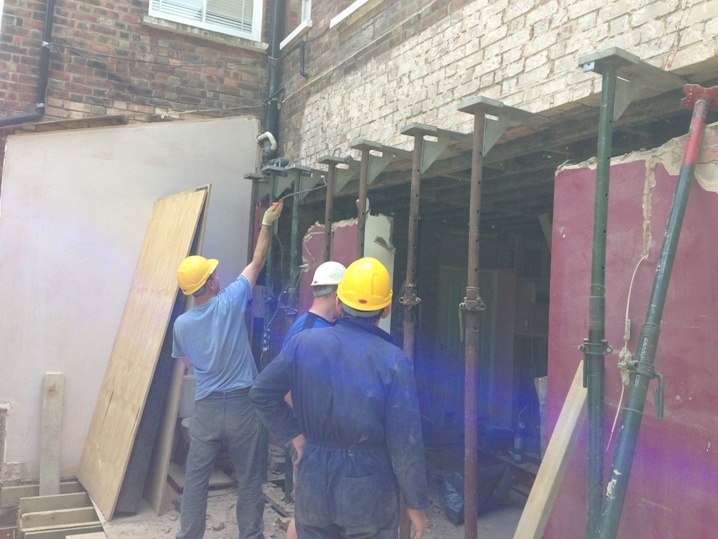 Knock down supporting walls, make extensions and loft conversions, fit wooden and stone floors, make new ceilings and walls. We make cupboards and other furniture for bedrooms and receptions rooms. We make new staircases. We do all electrical and lighting work, heating, gas boilers and central heating. We re-tile roofs and we carry out a full range of structural repairs including the use of helibars (and if you know what they are, it probably means you need them and require our services!). It is because we are so well-rounded in our knowledge and experience that we excel at bathrooms – good bathrooms generally being the most difficult and demanding of all jobs. TOPMARKS began fitting Ikea kitchens many years ago before designing and fitting kitchens made in Italy and more recently in Germany. However with recent changes in exchange rates, English-made kitchens manufactured to the same quality as German ones are now substantially more economic. We use all our experience and work with English manufacturers to design and deliver a wide range of kitchens at very affordable prices! 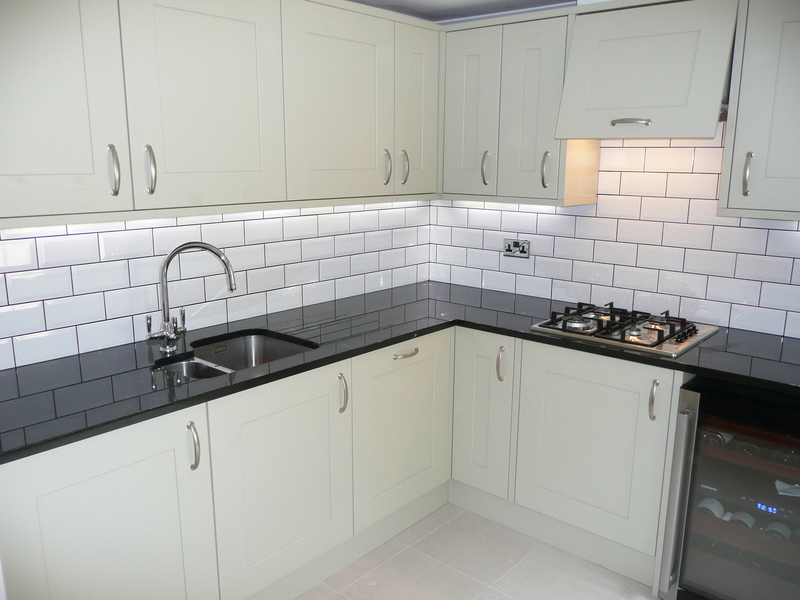 Whether you are seeking a traditional wooden kitchen, Shaker, painted, melamine or lacquered, you will be pleasantly surprised to find our prices are lower than might be expected. We have worked hard to get the price down while maintaining quality. We now have a very good offer for anybody wanting a new kitchen in London. Come into the showroom for a discussion and we will try to make you happy with the lowest price possible for a new kitchen. 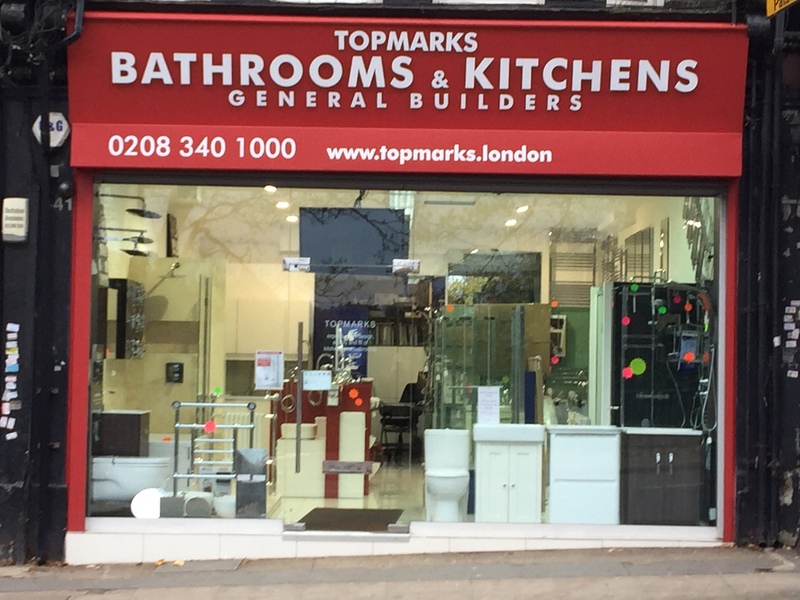 TOPMARKS is our retail shop and showroom in north London. All staff have hands-on experience in design and construction of bathrooms, kitchens and other general building work. So you can visit us and ask questions about your home. We also do site visits and give free quotes for all potential new jobs. We sell everything for bathrooms with many items at big discount prices. We are a ROCA specialist which means you can get 20% off all every item supplied by ROCA. We are also a BRISTAN specialist which means you can also get 20% off any BRISTAN item. You can also get bigger discounts on both ROCA and BRISTAN depending on what you buy and how much is spent. So come into the shop, or email us your list of ROCA or BRISTAN items, to get the lowest price possible. Porcelain tiles is another of our specialities. You can choose from a wide range of shades of the most popular colours. Because we specialise in these popular colours and have focused on the variety of shades within those colours, you can get some spectacularly low prices. This means you can pay as little as £21 per square metre and most of the tiles are £21 to £29 per square meter inc VAT. TOPMARKS online shop sells bathrooms taps, mixers and related items at attractive discount prices, including sometimes the lowest price in the UK. So if you want brand name products such as ROCA or BRISTAN at low prices, visit our online shop or phone the showroom for a quote. "Careful, considerate and communicative! Very happy"
"We recently had considerable work done by TOPMARKS both internally and externally. We are extremely pleased with the results and very appreciative of the care taken on all aspects of the work. The team were very professional throughout and responsive to our requirements and despite the weather conditions the work was carried out in time. I would not hesitate to use them again in the future and highly recommend them"
"A small budget driven 'let’s re-tile the bathroom' project turned into a nightmare of uncovering previous shoddy work. We don’t know where we would have been without TOPMARKS and their endless patience/courtesy/good humour & creativity in overcoming obstacles. The finished work is of the highest standard and attention to detail is exemplary." "I used TOPMARKS to reconfigure my basement, build a new kitchen and refurbish two bathrooms in 2009. The client service was excellent, dedicated, the work done matched the specs to perfection and was finished on time. I highly recommend them"
"We had our bathroom completely gutted and refurbished by TOPMARKS in 2011. Their employees were honest, trustworthy people and they took pride in doing a good job. In the flat they were very polite; they did the work carefully and to a high standard. I will be happy to use TOPMARKS again for any other home improvement projects I may have in the future." "I instructed TOPMARKS to undertake a complete conversion of a residential building. They acted as a traditional full service building contractor but applied the requisite skills required to achieve high end kitchen and bathroom finishes to all aspects of the building contract. Their attention to detail throughout ensured both quality of build and showcase finish." "TOPMARKS carried out the refurbishment of my bathroom over the summer and I could not have been more happy with the results. From the designing stage all the way through to the installation they were a pleasure to work with." "We just had a new bathroom and kitchen installed by TOPMARKS. They were very reliable and the quality of work was good. We are really pleased and would definitely use them again. I was very happy with the quality of the work. All of the staff were friendly and helpful, and the builders were tidy and reliable. The whole process seemed very well-organised. I would happily recommend TOPMARKS to others." "Having your one and only bathroom completely renovated is a daunting task. Working with TOPMARKS removed so much of the stress in the early stages, whether it was choosing fittings or finalising design details. They did not try to impose but always made helpful suggestions. The standard of work by the whole team is really high and they all seemed to take satisfaction in doing the job well. Since then I have recommended TOPMARKS to friends which is probably the best testimonial. I would definitely work with them again." 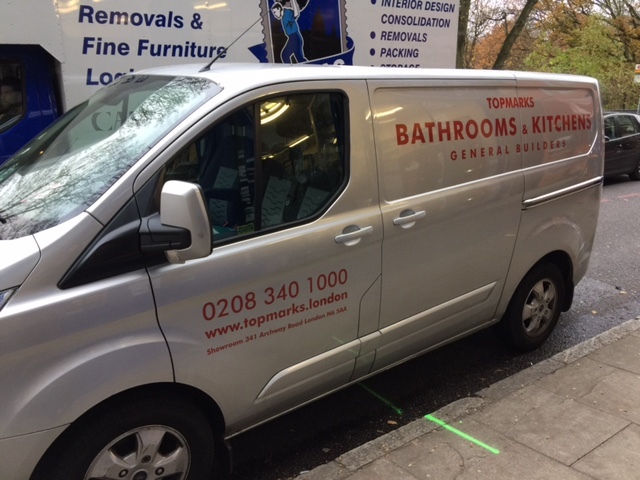 "TOPMARKS installed a new kitchen for us in 2007 to a very high standard and so they were the obvious choice when we decided to refurbish a small cloakroom earlier this year. They have also now just completed a new bathroom. It has been a pleasure to welcome the team back to our house; they are kind, trustworthy, hard working and pay particular attention to detail. Everyone at TOPMARKS has played their part in making sure that our expectations have been met. The care and consideration given to where exactly each of the travertine tiles would be located on the floor and walls has resulted in a perfectly finished and beautiful product. With a Victorian house there are always unforeseen problems but these were dealt with calmly and efficiently. We have no hesitation in recommending TOPMARKS." "Just wanted to say that the bathroom looks very good. I rang your colleagues to thank them. I have been very impressed by the professionalism of the people who worked in my home. I will now recommend you to my neighbours." We are now selling the entire Roca range at 20% discount. Buy many pieces and the discount is even greater. Give us your email, and we will send you regular updates for the latest info and events.